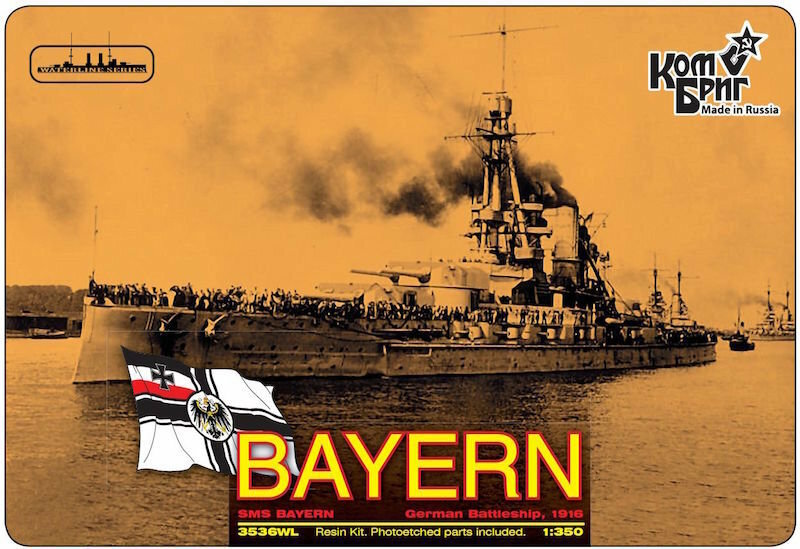 SMS Bayern was the lead ship of the Bayern class of battleships in the German Imperial Navy. The vessel was launched in February 1915 and entered service in July 1916, too late to take part in the Battle of Jutland. Her main armament consisted of eight 38 cm (15 in) guns in four turrets, which was a significant improvement over the preceding König's ten 30.5 cm (12 inch) guns. [Note 2] The ship was to have formed the nucleus for a fourth battle squadron in the High Seas Fleet, along with three of her sister ships. However, only one of the other ships—Baden—was completed; the other two were canceled later in the war when production requirements shifted to U-boat construction.